Eureka Assault Outfitter 4 Person Tent is a very durable tent with a huge waterproof rating and 3 very thick aluminum poles, built for all weather conditions. Eureka Assault Outfitter 4 tent. Check on Amazon. This holds in particular if you are concerned about shipping conditions, with stores on several continents, they are currently without a match from this perspective. This Assault Outfitter 4 tent has been on the market for many years already, at least a decade as far as I remember, and all is known about it. This is a dome-style and also freestanding tent, well almost, if you disregard the fact that you have two asymmetric vestibules that must be staked down to be functional. But this is always so with such full-coverage fly tents. In its earlier versions it had a window on the fly but this has been removed several years ago. From this you also realize that this is a two-layer design and here this should be taken literally as the inner tent is almost without any mesh sections. It allows for an awning setup with its front vestibule door and a pair of trekking poles. In the video below you will see the statement that they make it based on the design used for combat tents which Eureka build for Marine Corps. Capacity-wise, the tent is declared as a 4-person tent. So let’s see what it offers. The inner area is 63.8 ft² (5.9 m²) and this does not look so much for 4 users, see the picture below with its floor plan. But it has two vestibules that offer 19 + 11 ft² (1.7 + 1 m²), so the total protected area is 93.8 ft² (8.6 m²). This means 23.4 ft² (2.15 m²) per person if used by four people. This is surely enough. But for a great comfort and for car camping, this is a perfect tent for couples. 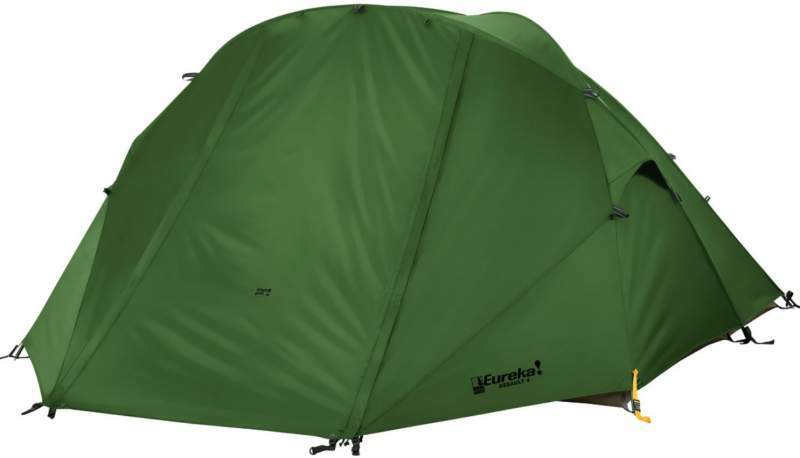 Seasons-wise and climate-wise, this is a very strong construction with three intersecting poles and a full-coverage fly, the waterproof rating is huge, and the tent is with a very aerodynamic profile. They describe it as a 3-season tent, but I would add a few words to it. This is the Assault 4 tent shown without the fly, no mesh on the inner tent. Weight-wise, with its minimum weight of 14 lb 13 oz (6.7 kg), this is not something to carry on the trail. It is a bit heavier than their Suite Dream 4 tent and it is also heavier than some of its competitors (see below). If you need something to carry, better check this MSR Elixir 4 tent, Mountainsmith Genesee 4 Person Tent, and also this Exio 4 tent which I currently use myself. The term minimum weight here implies everything that you need to set up the tent except for the stakes as that is something that is user preference. But stakes are included in the package. This terminology is explained in my separate text. But observe the excellent packed size of this tent which is only (L x D) 22 x 8 inches (56 x 20 cm). It is such that you can transport it on a bicycle. All in all, I would put it in the group of tents for car camping and I have no doubts it will perform well if you are using it in winter conditions. Those three intersections points of the poles make it stronger than some of the tents that are officially declared as winter tents. So I have added it in my list of tents for winter camping. I guess the poles are the most impressive part here because you have three of them and they are 13 mm in the diameter. Not many tents of this size have such strong poles. They are pre-bent 7000-Series aluminum. Note that the tent is with sleeves and I know that many dislike such a design, but this is a stronger construction than clips because the pressure is distributed over a long area. On the other hand, the pole sleeves are lined with a polyester oxford for durability and ease of set up. The stakes are aluminum. The inner tent is a 68D 190T polyester ripstop. So this is a moderately strong breathable material and you have such denier value in many tents on the market. The fly is the same denier type and it is with a very high 3000 mm waterproof rating. They write that the fly fabric has UV inhibitors added to extend its UV durability. The mesh areas on the doors are 40D polyester no-see-um. However, the floor is a much stronger, 210D polyester oxford with a 5000 mm coating. So it is indeed hard to make any objection here. There are two of them on the inner tent, asymmetric in the design, the front door is much larger. The corresponding entry points on the vestibules are also different. The front entry is with two parallel zippers so the vestibule can be rolled and fixed above the door (see the picture) or it can be used as an awning. The front vestibule rolled up. 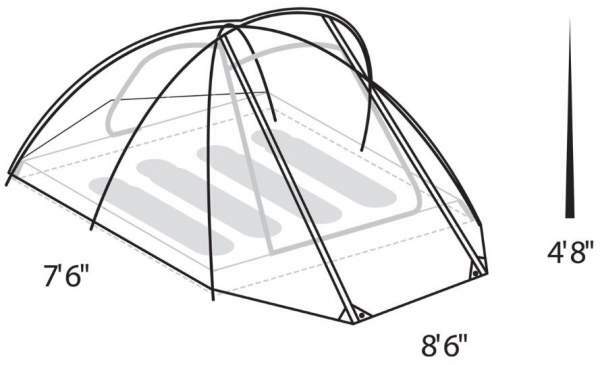 Ventilation is based on two mesh vents on the inner tent that are also equipped with panels so you can close them when needed, and the corresponding vents on the fly. You can combine this with the mesh on the two doors to create some extra cross flow. In the video you will see that you can position the front vestibule at a certain height to have extra air from outside, it has multiple configurations for high and low venting. The vestibules and the inner doors are with #10 straight zippers for increased durability. Fly door panels feature a snivel lock with side-release buckle. This eliminates wind-driven opening. There are 4 storage pockets in the corners. The tent is heavy but this is not a true objection really. It is not designed to be carried so the weight is due to its strong and durable construction. 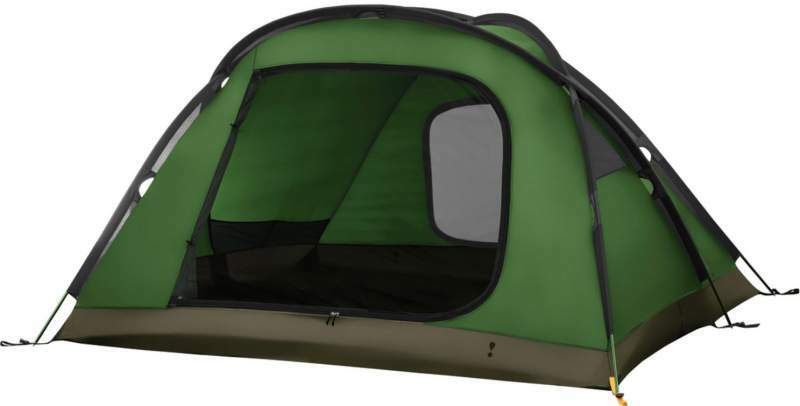 As of the moment of writing this text, the Amazon price for this tent is around $450, so if you are on a budget this is probably not for you. However, if you check its top competitors, you will realize that this is an expected price for such a quality tent. 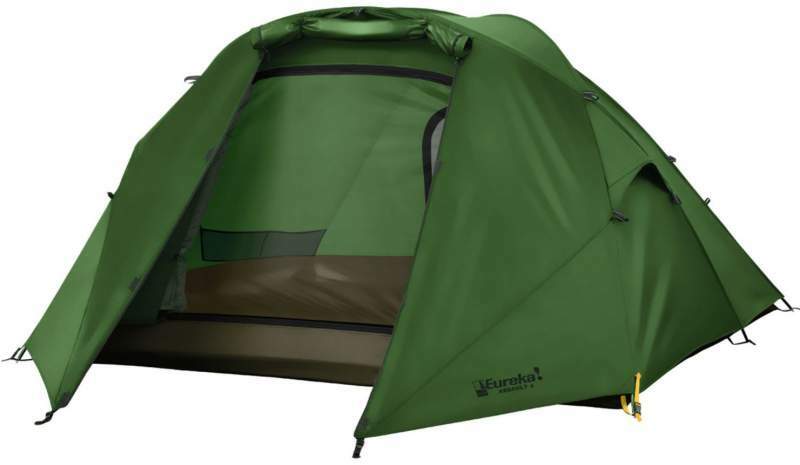 Though, their Eureka Suite Dream 4 Tent is a bit more affordable indeed. Minimum weight: 14 lb 13 oz (6.7 kg). Dimensions: 102 x 90 in (259 x 229 cm). Area: 63.8 ft² (5.9 m²). Area per person: 16 ft² (1.48 m²). Vestibules area: 19 + 11 ft² (1.7 + 1 m²). Total protected area: 93.8 ft² (8.6 m²). Total protected area per person: 23.4 ft² (2.15 m²). 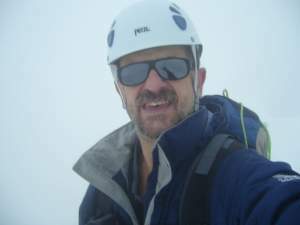 Peak height: 56 in (142 cm). Packed size: 22 x 8 in (56 x 20 cm). Such a quality tent should only be compared with some really top-notch items, so I give two of them. It is only slightly heavier but this is due to its more durable fabric and its poles are also thicker. In any case, none of these tents is for the trail. But it is also a bit more expensive than the other two tents, please follow the links to check for updates. In the summary of this Eureka Assault Outfitter 4 Person Tent review, I would stress again that this is a high-quality and very durable tent with some really excellent features. The floor and the poles are exceptionally durable and the waterproof rating is excellent. This all comes at a price but the tent is worth the money. If you search around you will only see exceptionally positive experience by users. If you need more options, please check my page with tents, and check also my list of 4-person tents for car camping where this tent is also included. Note that this is not a sponsored text and I have no relation to the brand. Thank you for reading, please use the comment box below in the case of questions and comments. Have a nice day.